Stölzle Glass Group specialises in the production of high-end glass packaging for the prestige spirits, healthcare, perfumery and cosmetics markets. With over 200 years' experience in the production of glass, the company is an expert in the development, production and decoration of premium glass products. Stölzle's specialist glass bottles and decanters are used by some of the world's most prestigious spirits and liqueur brands. Among its key clients are Diageo, Pernod Ricard, William Grant & Sons, Beam Suntory (Morrison Bowmore), Stock Polska, The Edrington Group, Sobieski, Angus Dundee, Courvoisier, and Ian Macleod Distillers. The company aims to produce unique and distinct products, which evoke an image using the finest extra white flint glass or an uncounted variety of different glass colours via feeder colouration. A further touch of luxury can be added to all items by sophisticated decoration methods. The company takes advantage of three in-house decoration facilities which offer state-of-the-art technology and innovative processes like digital printing, printing with special inks (fluorescent, phosphorescent, colour changing, mirror inks,...), sprayed metallisation, embossed lettering, and accessory application. What regards to its Prestige Spirits business, Stölzle's portfolio ranges from limited edition concepts to well-known established brands. Stölzle sets steps in terms of new product development and innovations. The Group focuses on developing and producing highly complex bottle shapes combined with a sophisticated finish when supporting major brands in the premium, prestige and luxury drinks sector. All items are manufactured in brilliant white flint glass, with an additional option of fire polishing already in the production process. Utmost fine glass quality on the one hand is complimented by extremely high levels of flexibility throughout all processes of product development and production on the other hand. Stölzle specialises in low production runs and is well known as one of the European leaders in feeder colour production. Describe how you would execute a design brief from a drinks producer. One of the challenging projects which have been commissioned to Stölzle recently, is definitely the Haig Club Single Grain Whisky bottle, launched by Diageo. Our NPD department should work on developing a design that could be transferred to several bottle sizes. With regard to its whisky bottles, Diageo already had a very precise idea in mind, which - in terms of implementation on IS machines - proved to be rather problematic. As is commonly known among glass experts, finishing feeder-coloured cobalt-blue glass is a huge challenge due to the chemical ingredients involved. The malleability of the glass is strongly affected by additives, making shaping considerably more difficult. Stölzle Flaconnage, the British site of the Glass Group, decided to draw up two bottle concepts, which then were both sampled to evaluate which one - from a technical perspective - had to be given preference. STF was in the happy position of being able to offer the client a viable solution and a perfect product with absolutely no delay. Haig Club was launched in Great Britain, skilfully attracting notice thanks to the participation of David Beckham. Shortly after the product launch, Stölzle was also commissioned other bottles sizes, to complement a full range of different Haig Club bottles. Via 3D printers we produced prototypes in a very short time which allowed to cut down both development and production processes to a minimum. How important do you think glass packaging is to the success of a product and why? Glass shows off food at its best, tempts the eye before delighting the taste buds. But glass offers values beyond visual appeal. We all know the virtues of glass packaging for foods. Glass can maintain quality over a long storage period whilst showing off the contents at their best. And by reducing waste and saving energy it helps protect the environment. Glass's inert properties make it the best packaging product for spirits and food for now and the future. Neither appearance nor taste, aroma or ingredients, however delicate, will be affected by glass packaging. This applies to top brand spirits as well as foodstuffs. It's also worth mentioning that glass can be recycled an infinite number of times and is the only packaging material to be 100% recycled. A 70% of worldwide consumers associate glass packaging with high quality products. Beyond these general chemical and ecological virtues, glass is the ideal material to convey an image, an emotion related to a luxury product. Visual aspects, as there are glass brilliance or stunning decoration, go along with tactile features like embossments in the surface or accessories, which are applied to the glass. The shelf attraction of luxury Sprits bottles is significantly enhanced by valuable glass packaging. In summer 2016 our British production site will obtain a completely new furnace. Based on the new technology and further investments in production, feeder colouration and decoration, we envisage a more specialised, high quality production to support small volume production in the luxury product market. What exciting new projects can we look forward to seeing on shelf in 2016? We are happy to extend the cooperation with Diageo with regards to the launch of new flavours within its great Cîroc vodka portfolio. In addition, our Design and Innovation teams are striving to develop new, fascinating feeder colour options and stunning decoration processes like printing around the corners of bottles and sprayed metallisation. We can look back on a history of 200 years in the production of packaging glass. In 1805 the first of the Stölzle glassworks was founded in Austria. Throughout the forthcoming years several factories in Austria, Bohemia and Hungary belonged to the Stölzle Group. In 1987 the Glass Group - consisting of two Austrian Glassworks - was acquired by the German Industrialist Dr. Grupp. 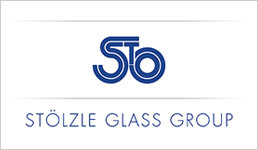 Since the Nineteen eighties & nineties the Glass Group has constantly been expanded by several acquisitions of European glassworks which now represent the current Stölzle Glass Group: Stölzle-Oberglas (A; Headquarters), Stölzle-Union (CZ), Stölzle Flaconnage (UK), Stolzle Czestochowa (PL), Stölzle Masnières Parfumerie (F), Stolzle Wymiarki (PL). The Group has six European production sites and three decoration facilities. Sales Companies in Russia, France and the United States enable us to offer great flexibility and customer support.